News, events, commentary and stories from the world of lifecasting and more from Rockabelly Lifecasts. Please share with your friends, subscribe to our mailing list to keep up to date with news and special offers or follow us on social media using the buttons at the bottom of the page. The National Space Centre in Leicester, UK. Rockabelly Lifecasts is proud to announce a new commission from the National Space Centre in Leicester. 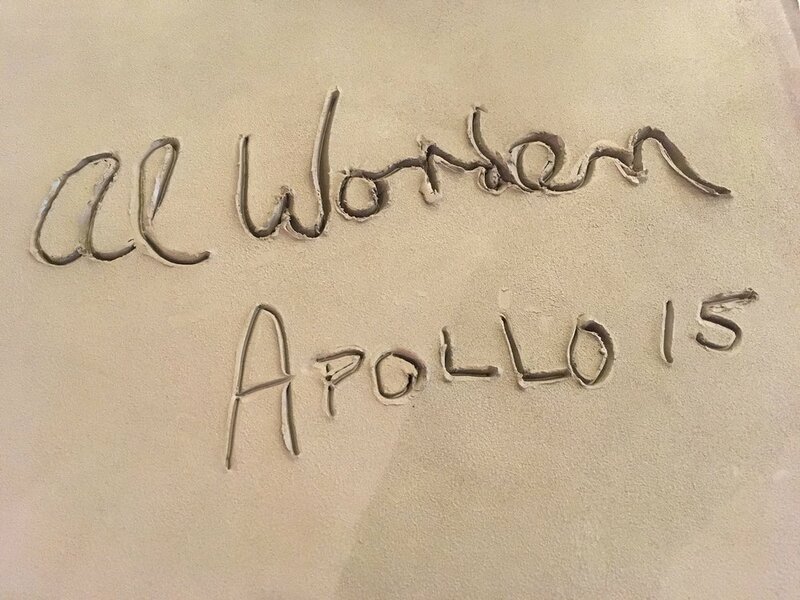 In October, we were invited to visit the Space Centre to cast the hand prints of visiting astronaut and author, Colonel Alfred Merrill "Al" Worden. 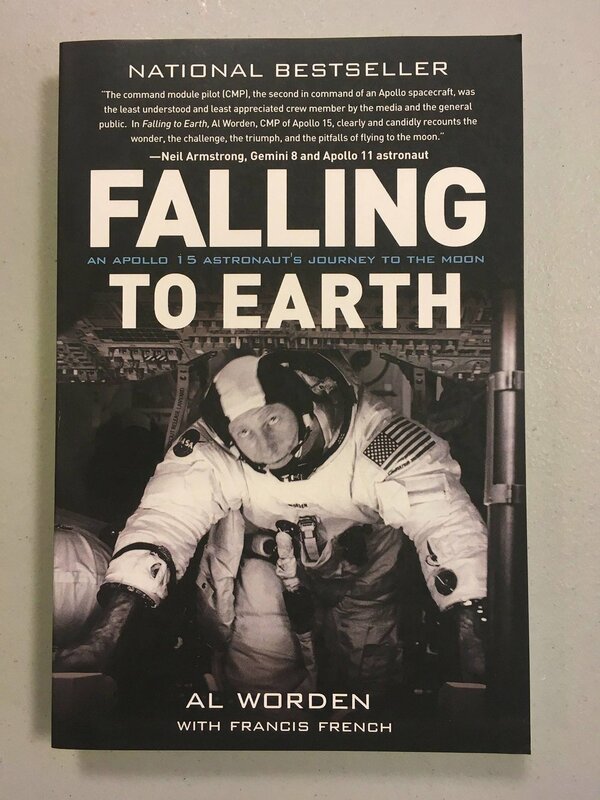 Colonel Warden was a NASA engineer and astronaut who piloted the Command Module of the Apollo 15 lunar mission in 1971. Colonel Al Worden, gets his hands cast by André Masters of Rockabelly Lifecasts at the National Space Centre, UK. The mould of Colonel Al Worden's hands, ready to be cast in stone for the Wall of Fame at the National Space Centre. As well as being one of only 24 people in the history of mankind to ever fly to the moon, he is most famous for holding the Guinness World Record for being the most 'isolated human in history' when he was orbiting in the command module while his crew were on the surface of the moon, making him 2,235 miles away from the nearest human being. CJ was so excited, having once dreamed of becoming an astronaut herself in her youth (before she worked out she got scared traveling over 50 mph and travel sick going up in a lift). 'The Pioneer' sculpture dedicated to Ed White at the National Space Centre. Sadly, CJ was unable to attend on this occasion due to a prior booking, so André had the solo honour of performing the Hollywood-style hand casts of Colonel Worden, who afterwards was kind enough to sign a copy of his own book for us. Rockabelly Lifecasts were chosen from the nation's lifecasters to continue a tradition at the space centre for casting visiting astronauts, and asked to create an updated version of similar casts that had been done in the past. A spokesperson for the National Space Centre stated that we had been chosen for our excellent reputation for tackling complex projects after having been recommended by several other companies. Although CJ was desperately miffed not to get to meet a real live NASA hero this time, she was somewhat comforted when André brought her back some freeze dried space ice cream and the good news that they will both be returning to the National Space Centre early next year to cast a major big name in modern space travel. Watch this space for more space news!